Is this English bubbly as good as Champagne? It's hard to imagine a world before craft beer. Could we one day feel the same about craft wine? Boutique wineries across the country are producing small batches of everything from pinot noir to chardonnay, but it can be difficult for us twenty-somethings to find -- let alone afford -- those wines. 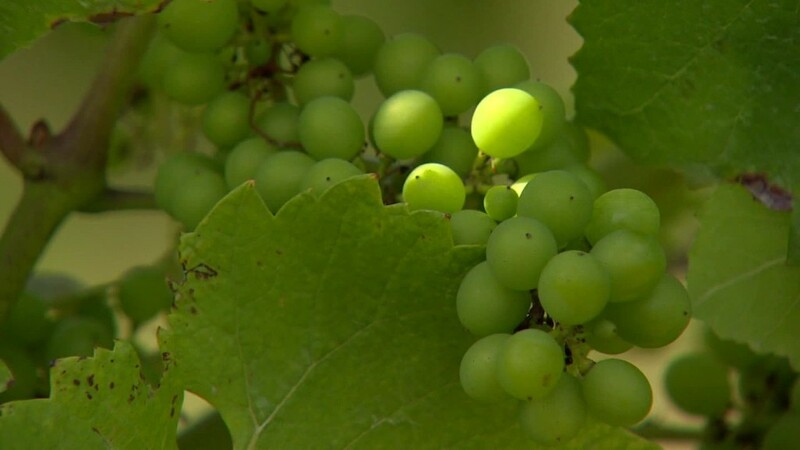 Your go-to vino is likely made by one of three major producers that account for over half of the U.S. wine market, according to a 2016 Michigan State University study. Plus, many boutique wineries make less than 1,000 cases per year and sell mainly through pricey wine clubs, making them hard to access. Online platforms like Winestyr and Glassful are trying to change that. Winestyr gives boutique producers an opportunity to reach shoppers across the nation. The platform, which focuses on small-batch wines, sells individual bottles for around $25. It also offers curated monthly subscription boxes. Gros Ventre Cellars, a boutique California winery run by husband and wife team Chris and Sarah Pittenger, uses Winestyr in hopes of growing its customer base. "When you're a small winery like ours and don't have a tasting room ... you're always looking for creative ways to get your name and your brand out there and get introduced to new customers," Chris said. Glassful is also trying to give small producers exposure. The site was acquired last year by Good Company Wines, which owns another online retailer called Invino. While Invino is geared toward baby boomers, Good Company Wines targets a younger audience with Glassful by re-marketing its Invino stock. "What that does is it forces really high quality wines into this younger more Millennial audience," says Daniel Zinke, operations chief at Invino. "Normally they go to Whole Foods and grab the most exciting looking labels on the shelf. Glassful forces them to try these interesting wines." Brooks Friedeman, who runs Friedeman wines with his wife Jessica, says he's noticed sales increase through Winestyr. "We do about $2 to $3 a bottle better selling through Winestyr than we do selling through 3-tier wholesale distributors, and we're doing the same amount of work," Friedeman said. Alcohol in the U.S. is traditionally sold through a 3-tier system. Producers like Friedeman represent the first tier. They sell their wines to wholesalers, who then sell to liquor stores and other retailers. This system can be expensive for small producers. They pay a price at each stage of the process, regardless of whether consumers end up purchasing their wines. Winestyr instead operates on commission, while Glassful purchases bottles from wineries and sells directly to consumers. Winestyr and Glassful handle the bulk of the logistics, from packaging to shipping. But Winestyr requires producers to secure their own alcohol distribution licenses, which can vary by state. So you might not be able to buy certain wines from that platform depending on where you live. These services can take a weight off small producers, many of which operate on a shoestring budget. "We do all the work," says Winestyr CEO Bob Wilson. Still, these sites aren't necessarily a silver bullet for wineries. Shoppers who buy wine on platforms like Winestyr rarely go to the individual wineries' websites to sign up for their independent wine clubs, which is how most wineries make money. It can be challenging for producers to secure repeat customers, particularly because twenty-somethings are less dedicated wine shoppers than their parents, says Glassful CEO Danielle Westfall. It's nevertheless important for small producers to engage with younger shoppers. "If you're a winery that wants to be in business two years form now, you should be getting Millennials interested in you," says wine industry consultant Dawn Dolan. . They might not be wine loyalists yet, but for boutique wineries, every customer counts.